On Monday (Oct. 1), General Electric Co. (NYSE: GE) announced John Flannery would be stepping down as CEO, ending his brief, yearlong tenure at the helm of one of America's most recognizable brands. Excitement over Flannery's replacement, former Danaher Corp. (NYSE: DHR) CEO Larry Culp, pushed GE's ailing stock up as much as 15%. Investors clearly have confidence in Culp's ability to stem the company's historic decline. The stock has plummeted 50% over the last year, even when you factor in its recent jump higher. But investors bullish on GE stock may be getting ahead of themselves. You see, while Culp's appointment is certain to add new vigor to the company's lackluster recovery, the immense problems facing GE's CEO are no less daunting under his watch than they were under Flannery's. Larry Culp is undoubtedly a talented executive, but GE is in a financial quagmire. Culp is the first GE CEO to come from outside the company's corporate fold. Prior to his appointment, GE only elevated internal personnel to the position over the last 126 years. This was the case with Culp's predecessor. Flannery is a GE veteran, joining the company in 1987 and following in the footsteps of legendary GE CEOs Jack Welch and Jeffrey Immelt. In choosing an outsider, GE is sending a clear signal that Flannery's gradual cost-cutting measures are no longer enough to keep GE afloat – a fresh approach is desperately needed. Culp could be the perfect man for the job. Prior to GE, Culp was the CEO of the embattled technology conglomerate Danaher Corp. Under his guidance, Danaher staged a significant turnaround, quintupling its market value and sending company shares up 400% over the course of Culp's tenure. However, GE's critical condition may prove too much for even a veteran of Culp's stature. GE has a massive debt load restricting the company's cash flow and hampering its ability to make productive investments. 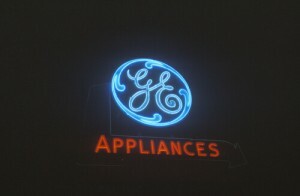 According to the company's most recent quarterly filings, GE is currently on the hook for over $115 billion. According to Stephen Tusa, a GE analyst with JPMorgan Chase & Co. (NYSE: JPM), GE needs to aggressively de-leverage in order to gain a handle on the company's debt. Tusa estimates that GE must immediately raise $30 billion to $40 billion – roughly 25% of its current debt load – in order to regularly meet its debt obligations and develop new profit opportunities. With a limited cash flow of around $10 billion, GE's only reliable method to raise capital will be through selling off company assets. And Culp is already liquidating company assets. On Tuesday (Oct. 2), GE announced it sold its Intelligent Platforms Automation business to Emerson Electric Co. (NYSE: EMR) for an estimated $300 million – 42% more than the company's entire 2017 revenue. Though positive, $300 million is a far cry from the tens of billions necessary to begin to right GE's ship. And while GE does own several assets worth billions of dollars, parting with those divisions may cripple the company's ability to generate cash flow through future sales. As a result, GE is forced to choose between short-term solvency and future growth potential. Even the most talented executive won't be able to crack that riddle. That's why investors looking at GE as a turnaround target are better off looking elsewhere. Instead, we're looking at an industrial stock poised to take up GE's considerable slack. You see, GE is expected to slash or even suspend its dividend later this month, removing one of GE's chief shareholder benefits. That's why we've identified a key industrial conglomerate that's generating a robust dividend – one that it's raised consecutively for the last five years. A key member of the industrial goods sector, this stock has made strong gains in the wake of GE's fall, rising 16% in the last year as GE sank over 50%. Could GE not get new Capital from Saudi Arabia, Russia or China?